We are excited to announce that Special Olympics NY has been chosen as a charity partner in the upcoming TD Five Boro Bike Tour! 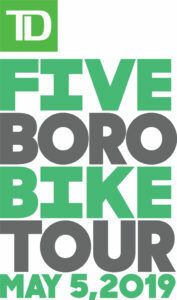 The 2019 TD Five Boro Bike Tour will take place on May 5, 2019, when 32,000 cyclists representing every state in the nation and dozens of countries around the world, will come together in lower Manhattan. 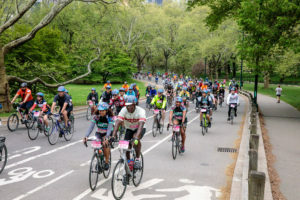 From there, they will ride 40 miles through the five boroughs of New York City on car-free streets, including over the Queensboro and Verrazzano-Narrows Bridges. All members of Team Special Olympics New York will be asked to meet the fundraising minimum of $1,500 in order to participate.